Spin The Rift Slots with 96.3% RTP, FREE Spins & more! The Rift Slots is packed with action, bonuses and big wins! Muster up your courage and spin this dark and mysterious online slot game today! A rift has opened in a back alley, and you’ve been enlisted to save the day. All you have to do is connect the magical artifacts before they get taken to the underworld. Do you think you have what it takes? There are loads of bonuses along the way, including Sticky Wilds and FREE Spins! 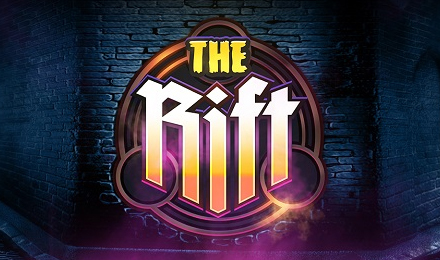 The Rift Slots has 17 paylines and a 96.3% RTP. Spin to win today!